Welcome to the online home of the Democratic Committee in Oconee County, Georgia! 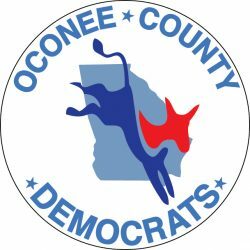 Our mission at the OCDC is to find, support, and elect Democratic candidates in Oconee County, GA. We are certified with the Democratic Party of Georgia (DPG) and work closely with other committees throughout Congressional Districts 9 and 10, including our neighbors in Athens-Clarke County. 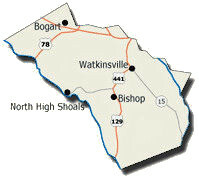 Locally in Oconee County, we work to make local county and city governments transparent and hold them accountable. Our goal is to make sure that even as it grows, Oconee County remains a great place to live and raise a family. If you are new to the area, please reach out to us on Facebook or come to an event. Join the team that is working to make Georgia blue!